reenactor.Net, THE Online, Worldwide Home of Living History - Recruiting NOW! Description: We formed up in 2007 in Southern California, and are still going strong. WW1 reenacting is 'Alive' in California, and getting stronger. 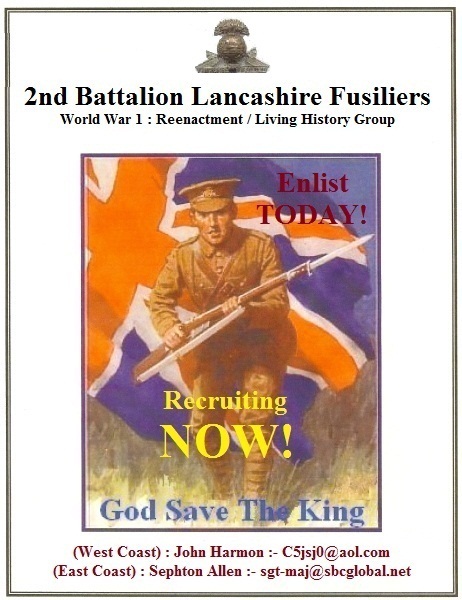 FOUR New British units have already been annouced as recruiting NOW!